Please visit the local attractions, restaurants and entertainment venues near the show. 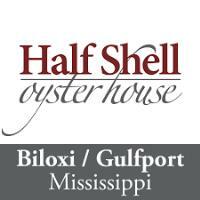 Our first Half Shell Oyster House opened in July 2009 in Gulfport Mississippi in the historic Kremer building in downtown Gulfport. This restaurant features a unique floor plan with multiple dining levels. Downtown Gulfport was ravaged by Hurricane Katrina and many of the buildings stood empty for years after the storm. Since the city updated the facades of these buildings many other restaurants and bars have opened to help make downtown Gulfport a destination for dining and nightlife. As with our other Half Shell Oyster House locations the decor consists of French Quarter finishes including wrought iron, high ceilings, brick walls, classic lighting fixtures, stained glass and a copper bar. Each restaurant boasts a unique exhibition kitchen for preparing our great oysters. Our Gulfport location offers a unique mezzanine level that is available for private parties and events.